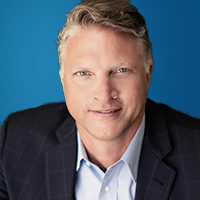 Keith R. Leonard was co-founder, President and Chief Executive Officer of KYTHERA Biopharmaceuticals, Inc. from 2005 until its acquisition by Allergan in October, 2015. Prior to that, Mr. Leonard held various positions at Amgen Inc., a biotechnology company. From 2001 to 2004, Mr. Leonard served as Senior Vice President and General Manager of Amgen Europe where he was responsible for all commercial operations in 28 European countries. Prior to that role, Mr. Leonard established Amgen’s presence in rheumatology with the creation of the Rheumatology Business Unit, served as Head of Information Management, and served in leadership roles in sales and marketing, engineering, operations, and finance. Mr. Leonard serves on the board of Anacor Pharmaceuticals [ANAC], Intuitive Surgical [ISRG], and is the Executive Chairman of UNITY Biotechnology and Sienna Biopharmaceuticals. He was formerly an active duty officer in the U.S. Navy. Mr.Leonard received a B.S. in Engineering from the University of California, Los Angeles, a B.A. in History from the University of Maryland, a M.S. in Engineering from the University of California, Berkeley, and a M.B.A. from the Anderson School of Management at the University of California, Los Angeles.